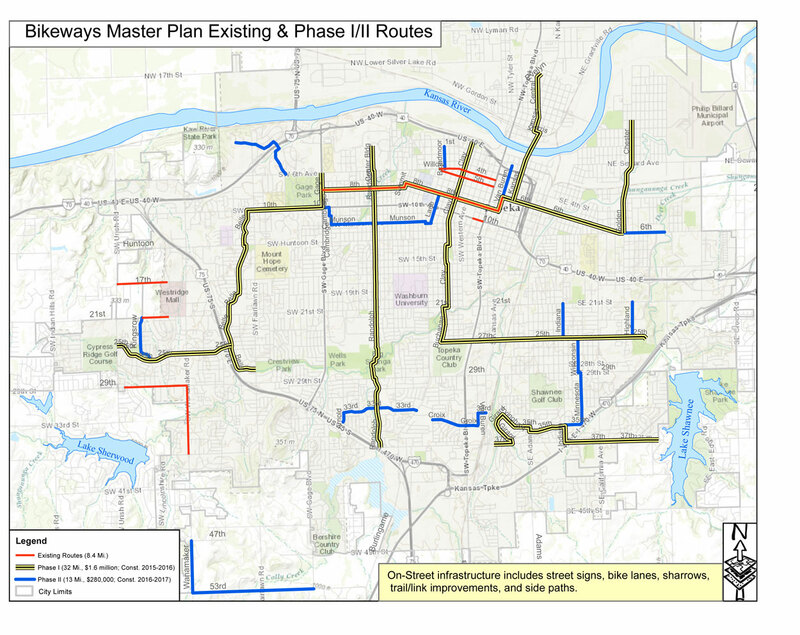 The City of Topeka has completed 9 miles of the Bikeways Masterplan (red), will complete 32 miles during Phase I this fall and next spring (yellow/black), and will complete another 13 miles of bikeways facilities in 2017 (blue). Download a hi-res PDF here. On-street infrastructure includes street signs, bike lanes, sharrows, trail/link improvements, and sidepaths.